San Francisco is a dynamic city – there are so many attractions here that you’ll never run out of things to do, no matter how often you visit. Union Square is home to great shopping and various hotels to fit every budget, and with a central location and easy access to public transportation, it is one of the most popular places to stay in the San Francisco. After you’ve stayed there once though, you’ll want to choose a different area as your base. SoMa, the large region South of Market Street, has an array of attractions and is the perfect place for those looking for a more off the beaten track experience. It is home to San Francisco’s stadium and some of the city’s best museums, including the lauded San Francisco Museum of Modern Art, as well as various small theatre venues. 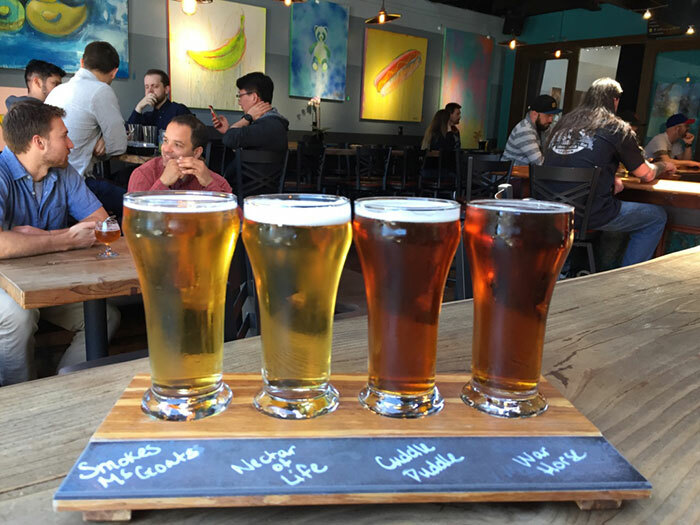 SoMa also hosts many popular events year-round and has some great food and drinks options; visit HRD for inventive Korean-Mexican fusion and Black Hammer Brewing or Cellarmaker Brewing Co to taste some locally brewed beers. 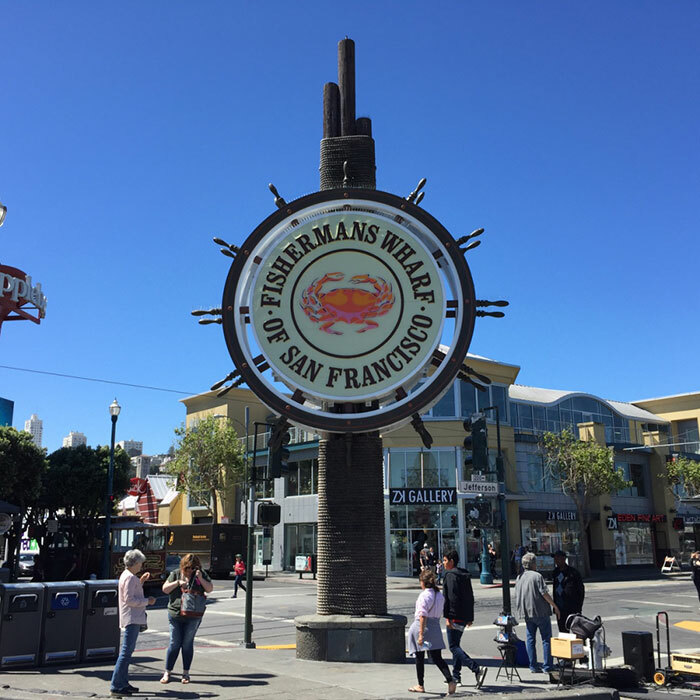 Fisherman’s Wharf is another popular area to stay and visit during your time in San Francisco. After all, who wouldn’t love a beautiful waterfront neighbourhood with plenty of options for food and accommodation, not to mention stunning views of Alcatraz Island and the Golden Gate Bridge? There is a lot more waterfront to San Francisco however, and most of it in the Embarcadero area is accessible via a seawall, which offers ever-changing views of the bay. I recommend you start in Fisherman’s Wharf and make your way along the shoreline towards the Ferry Building. Along the way, you will find multiple piers and buildings full with great restaurants. Visit La Mar Cebicheria Peruana on Pier 3 for fresh ceviche and pisco sours, or MarketBar for fancy American eats and cocktails on their patio. From the Ferry Building, you will also catch some stunning views of the Golden Gate’s arguably just as impressive counterpart, the San Francisco-Oakland Bridge. San Francisco is chockful of great museums, restaurants, cafés and bars, and limitless scenic views – enough to keep you busy during your first visit. 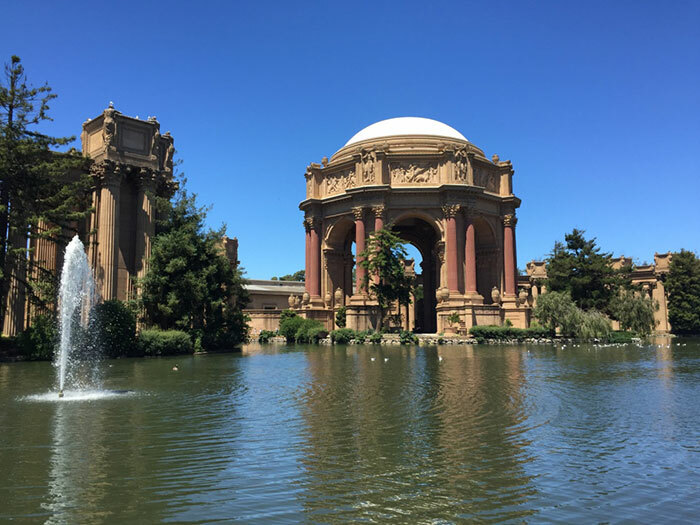 When you think you’ve seen everything there is to see, you will discover a stunning new sight, like my unexpected visit to the Palace of Fine Arts monument in the Marina District. 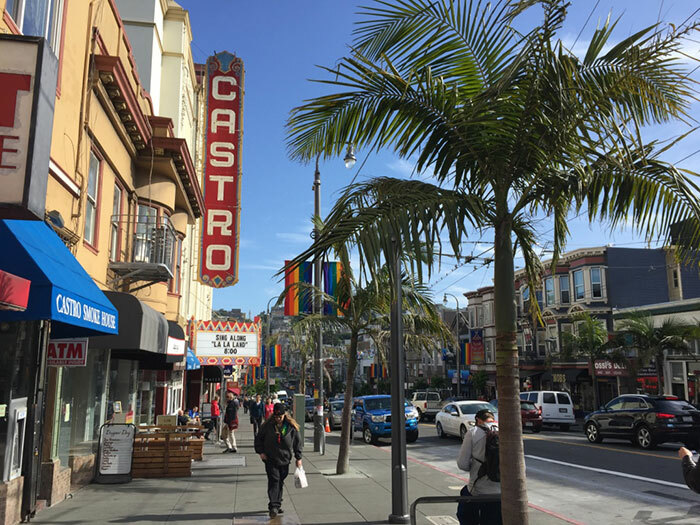 Once you’ve explored the main sights, head over to the lively neighbourhoods of The Castro and Mission to discover a completely different side to the city. Colourful The Castro, the city’s main gay and lesbian hub, is home to the GLBT History Museum and the Human Rights Campaign Action Centre, and also has some of San Francisco’s best cafés and nightlife. Mission is the de facto Mexican neighbourhood, thus being home to the best Mexican food in town, but also to a growing number of trendy restaurants and bars. To get there, take the MUNI Metro lines K, L, M, or N to Castro and you’ll be right in the heart of the action. In Castro, visit Hearth for great coffee and delicious pastries; in Mission, visit Loló for modern Latin fusion cuisine, or La Taqueria for traditional Mexican fare. You can also visit Woods Cerveceria or Southern Pacific Brewing Co to sample some local craft beers surrounded by locals. 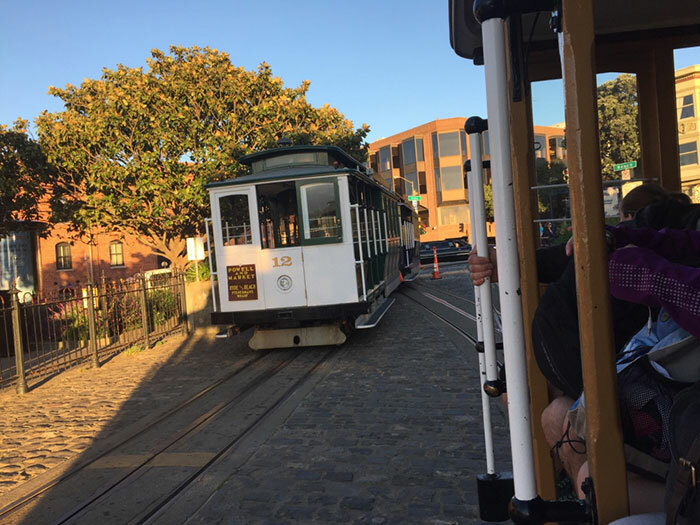 One of the top San Fran bucket-list items is riding famous Historic Cable Car – a unique journey through some of the city’s most popular areas. The ride costs US$5 one way and, while it can be used for actual transportation, it is mostly seen as an attraction. 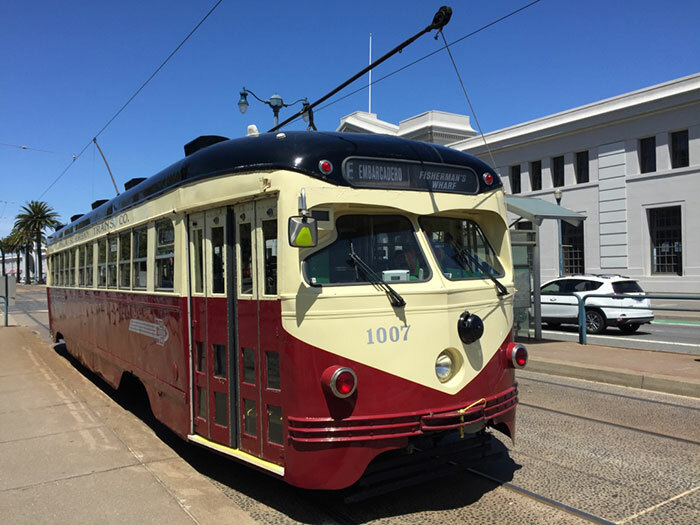 When you return to the city and have more time to explore, I recommend you use the Historic Streetcars to get around. Yes, you can get around faster aboard the metro or an Uber ride, but the streetcars provide a picturesque tour around the city, and are an experience in themselves: they are made up of cars from various cities around the USA and the world, so every ride is unique! 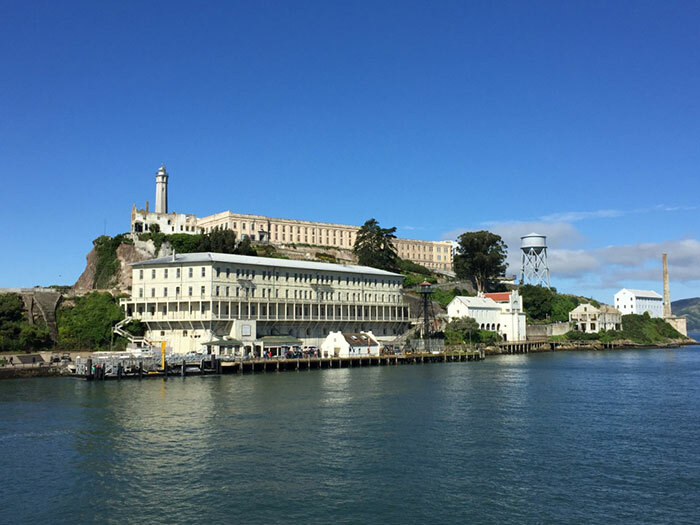 Alcatraz Island is infamous for its years as a high-security prison, but its importance goes beyond its prison days, making it a must-visit spot for historic and natural significance. As the city’s most popular attraction, a visit to Alcatraz must be planned at least a month in advance (tickets sell out! ), and despite its closeness to the city itself aboard a quick ferry ride, your visit will end up being a day trip (or at least a half day) from San Francisco. One you’ve experienced “escaping the city” in Alcatraz, head out towards the quaint town of Sausalito, just north of the Golden Gate Bridge. I recommend you take the scenic route aboard a bicycle, crossing the iconic red overpass on two wheels – a big highlight of the trip! 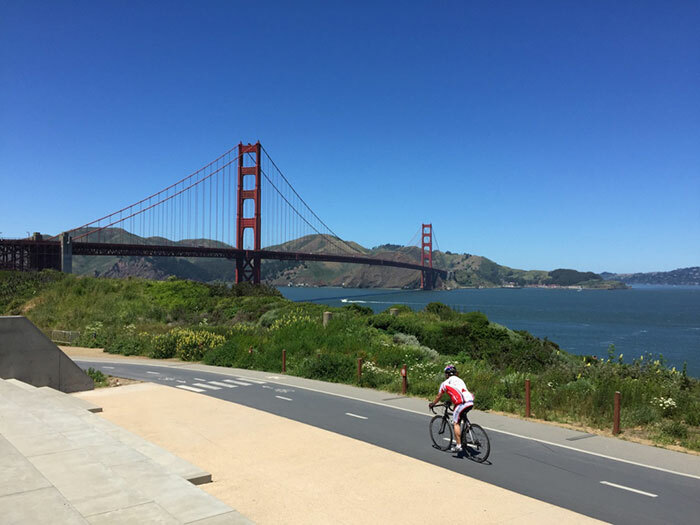 In Sausalito, grab a lunch at the waterfront Le Garage, a French bistro, or pick up a cone from Lappert’s Ice Cream Shop, and walk along the seawall admiring the views of the bay. If you arrived by bicycle, you can take the ferry back to the city for an added scenic experience. 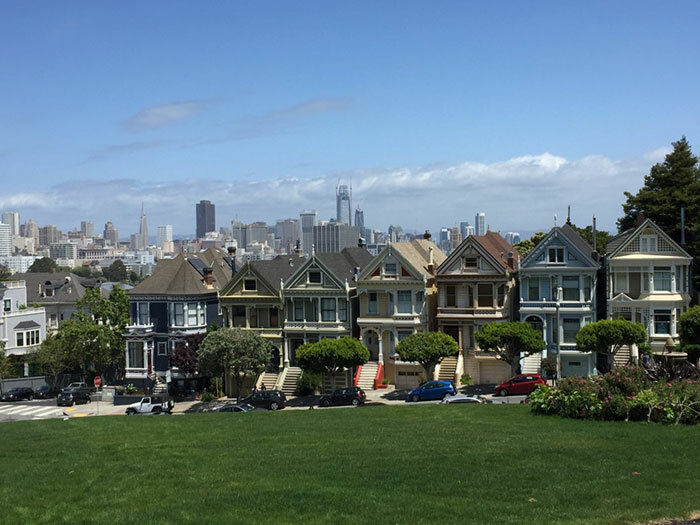 Alamo Square is a popular visiting spot mainly for its iconic view of the famous “Painted Ladies” of San Francisco, a row of houses showing the best example of the city’s Victorian and Edwardian architecture, in front of a backdrop of the city skyline. 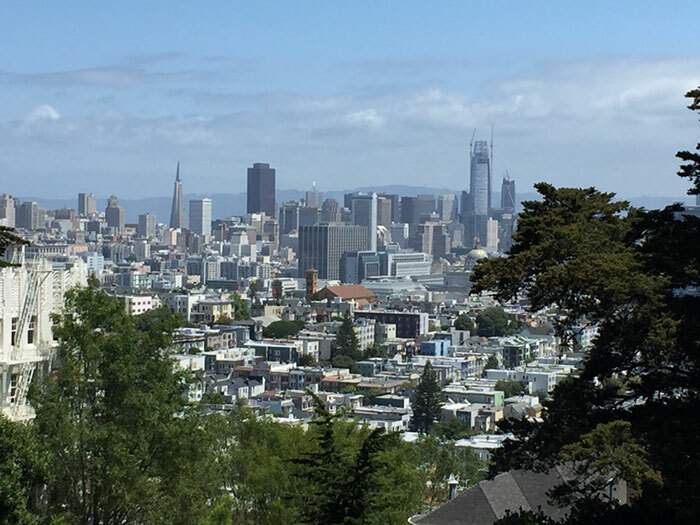 The views from Alamo Square are picture-perfect, but definitely not the only place to get beautiful views of the city. When you revisit San Francisco, I highly recommend you take a trip up to Buena Vista Park, a nature haven filled with hiking paths meandering through verdant hills. As the name suggests (Buena Vista means “beautiful view” in Spanish), the park offers some arresting outlooks of the city skyline from many points along the way. More than that, the park is beautiful, a green oasis smack in the middle of the bustling city. San Francisco will keep you busy no matter how many times you visit, but if you get the chance, take a trip out of the city to explore the nearby wine country. Sonoma and Napa, known worldwide for the high-quality wines they produce, are only a couple of hours’ ride away and easily accessible as a day trip, although you can make a longer getaway out of it. You can rent a car and drive yourself, but keep in mind that many wineries require reservations ahead of time. 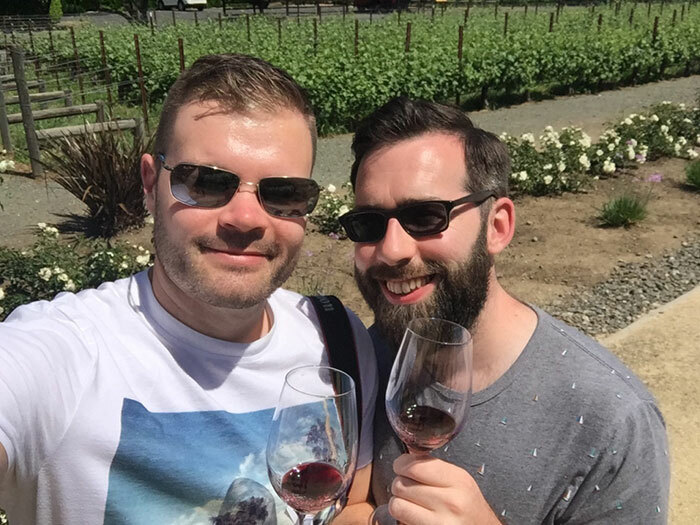 Alternatively, you can go on a guided tour right from San Francisco, which will take you to four or five different wineries and allow you to do your tastings without having to worry about driving. For an added experience, book a spot aboard the popular Napa Valley Wine Train for a unique culinary adventure. Experience San Francisco on our California & Canyons Journey. Make an appointment with one of our Travel Experts to find out more about our tailor-made Sanfrancisco holidays.